The North Carolina Commission of Inquiry on Torture (NCCIT) is a 501(c)3 organization set up to investigate and encourage public debate about the role that North Carolina played in facilitating the U.S. torture program carried out between 2001 – 2009. This non-governmental inquiry responds to the lack of recognition by North Carolina’s publicly elected officials and the U.S. government of citizens’ need to know how their tax dollars and state assets were used to support unlawful detention, torture, and rendition. The NCCIT will establish a highly credible, blue-ribbon panel of policy experts, academics, and community leaders to do the job that their government refuses to do: investigate North Carolina’s involvement in the U.S. torture program and its resulting obligations under international treaties and domestic law. The NCCIT will serve as a model for other accountability efforts, and will help create momentum for full official transparency and accountability for the U.S.’ use of torture and rendition. Recently declassified documents and the work of investigative journalists have confirmed that, soon after 9/11, the U.S. embarked on a secret global program in which hundreds of men were detained, transferred, and held indefinitely for interrogations using torture. North Carolina’s state government, taxpayer-funded public airports, and aviation infrastructure played a unique role in this Rendition, Detention and Interrogation (RDI) program. 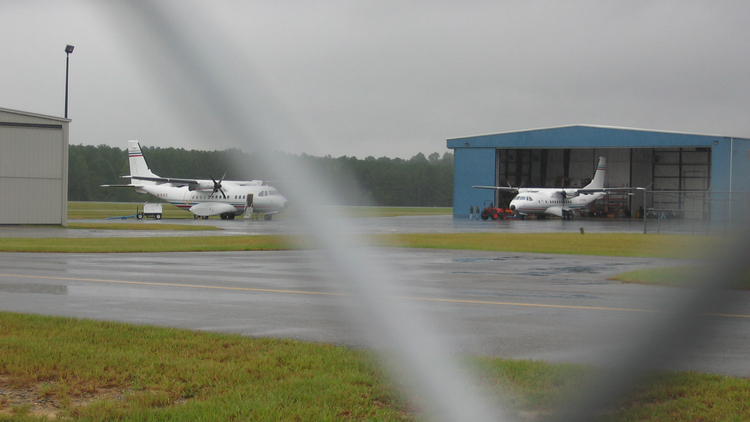 The New York Times and other sources have confirmed that the CIA established an aviation front company in North Carolina called Aero Contractors in 1979 which was used after 9/11 to transport dozens of detainees to secret detention and torture sites. 35 cases of North Carolina-based jets, pilots, and crews taking part in the CIA’s torture program appear in the executive summary of the 7,000-page report on CIA torture released by the U.S. Senate Intelligence Committee in December 2014. Since Aero Contractors’ and North Carolina’s role became apparent in 2005, a grassroots network of people of faith and people of conscience has been organizing in North Carolina to seek transparency and accountability. The goal has been to ensure that the state comes clean about its role in the RDI program and takes steps to prevent any future role in facilitating torture. 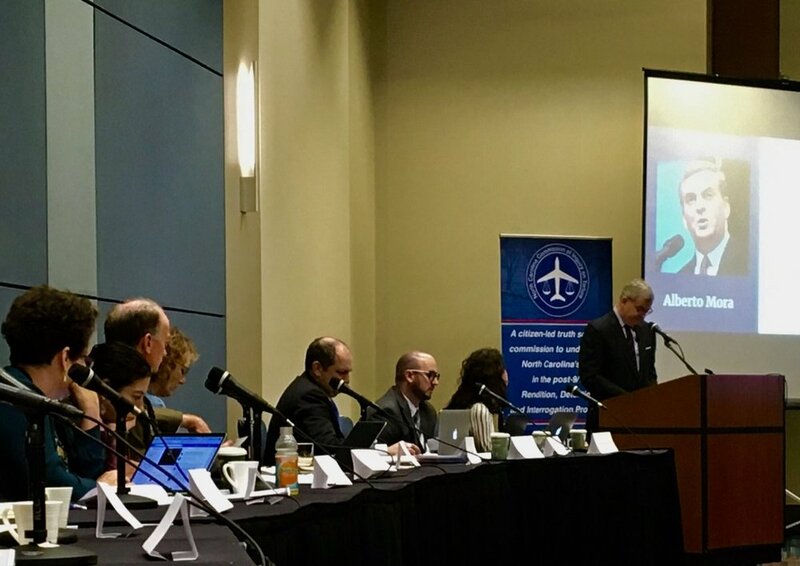 The NCCIT has established a distinguished, diverse blue-ribbon panel of policy experts, academics, and community leaders to do the job their government refuses to do: investigate North Carolina’s involvement in the U.S. torture program and its resulting obligations under international treaties and domestic law. The NCCIT will serve as a model for other accountability efforts, and will help create momentum for full official transparency and accountability for the U.S.’ use of torture and rendition. The centerpiece of the Commission’s inquiry will be a two-day public hearing, Thursday, November 30 and Friday, December 1. The Commission will receive and record testimony from legal and human rights experts, former government officials, torture survivors, and others on the U.S. torture program and the facilitating role that North Carolina played in hosting infrastructure for it. Commissioners will issue a report following this event that will include recommendations to elected officials on measures to address responsibility and prevent further torture, and ways North Carolina can become a leader in accountability for torture. - Rev. Jennifer E. Copeland, Ph.D.
Full list of endorsements available here.